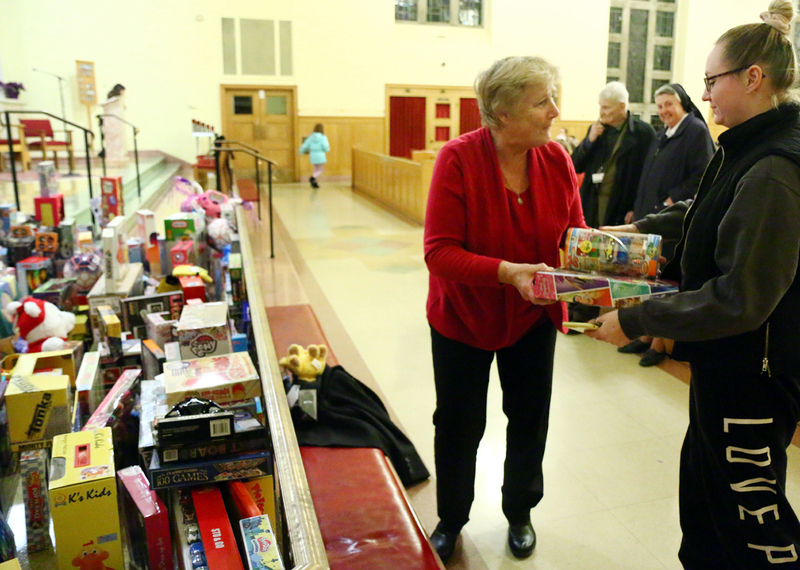 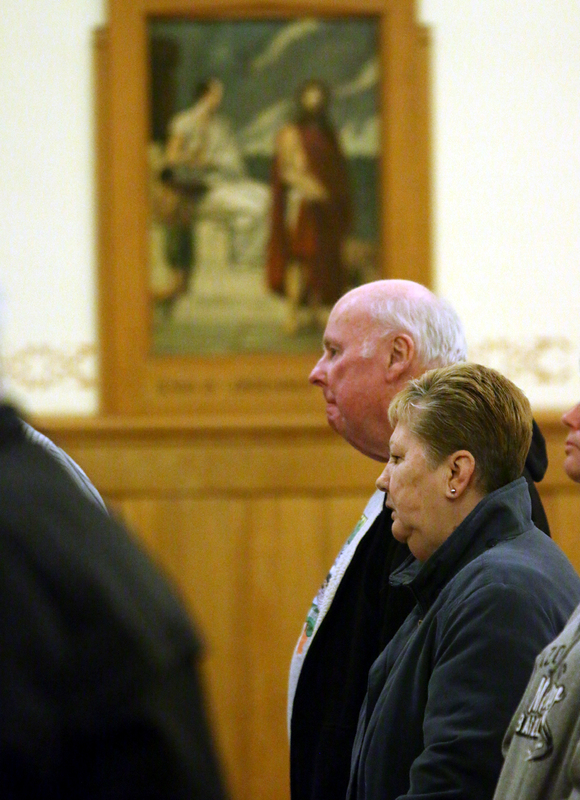 Volunteer Pat Guerin collects gifts before Mass. 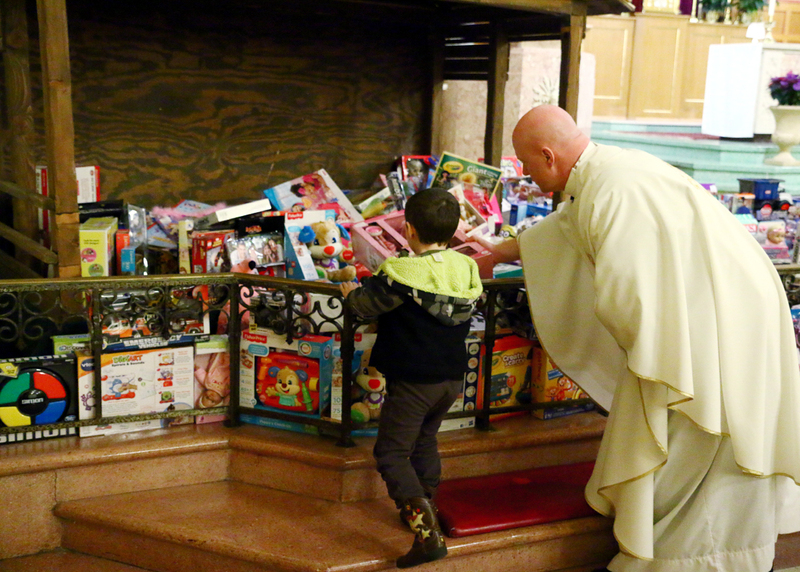 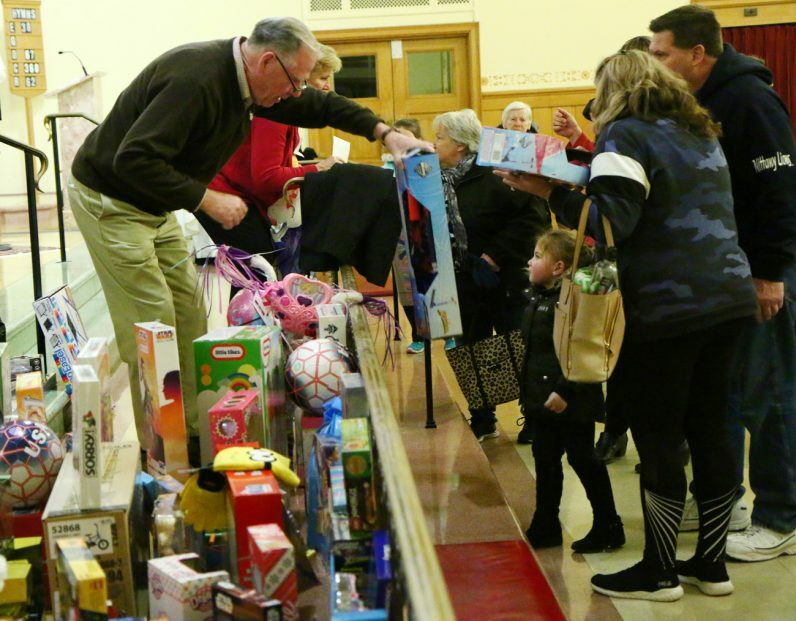 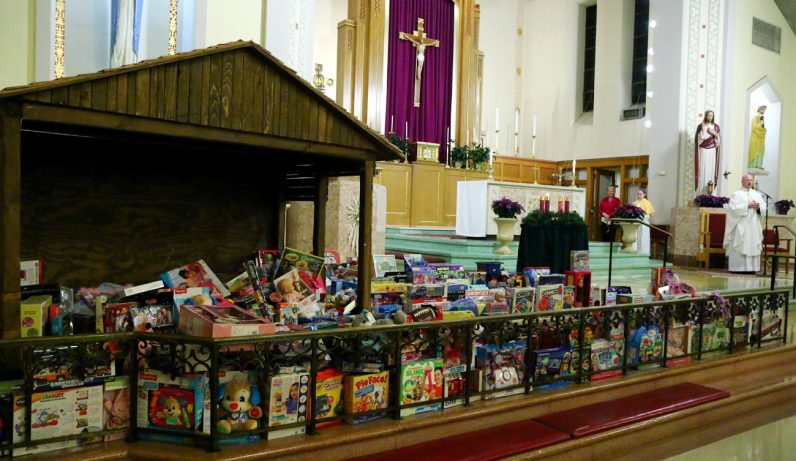 Father Patrick Welsh helps children place toys in and around the manger. 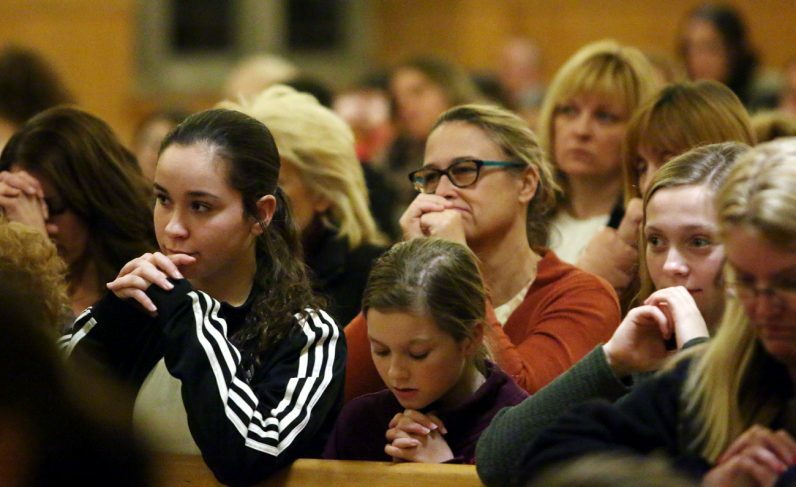 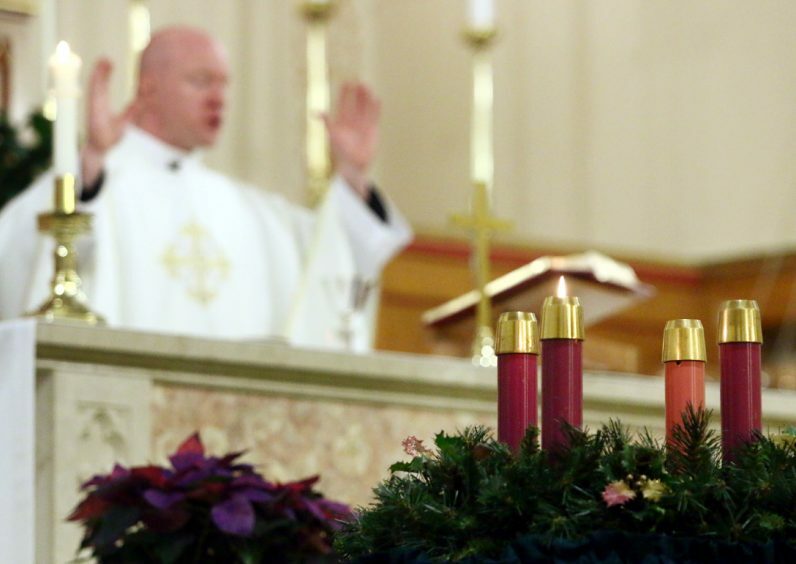 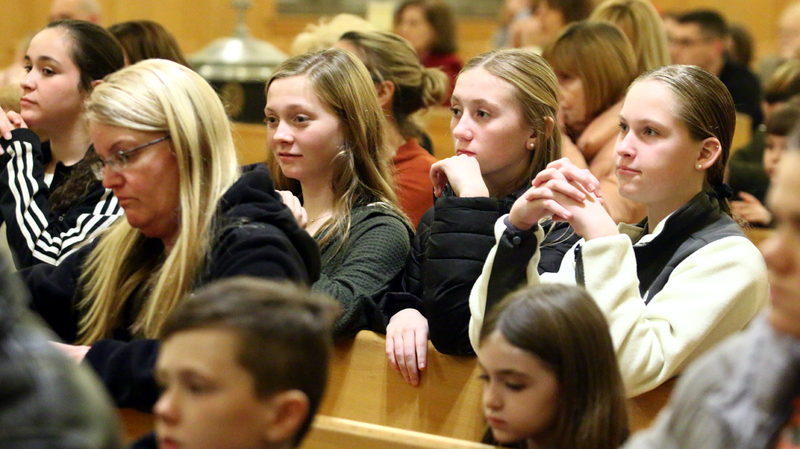 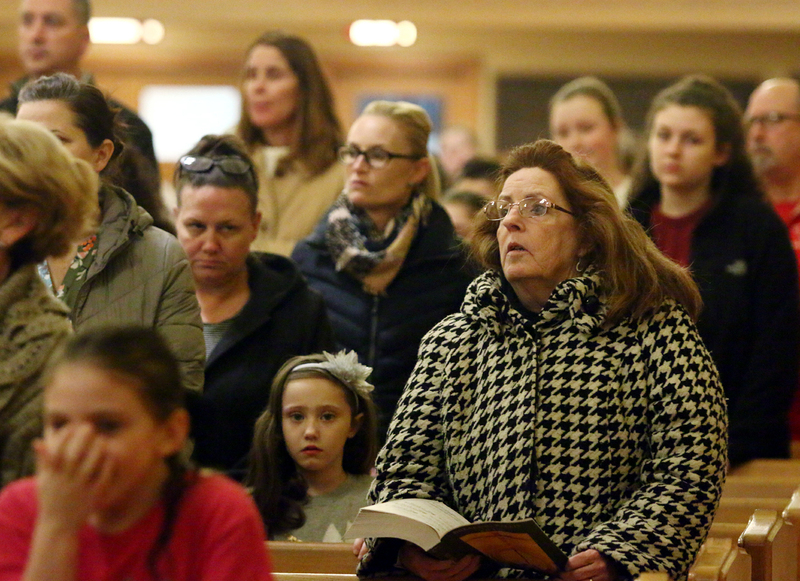 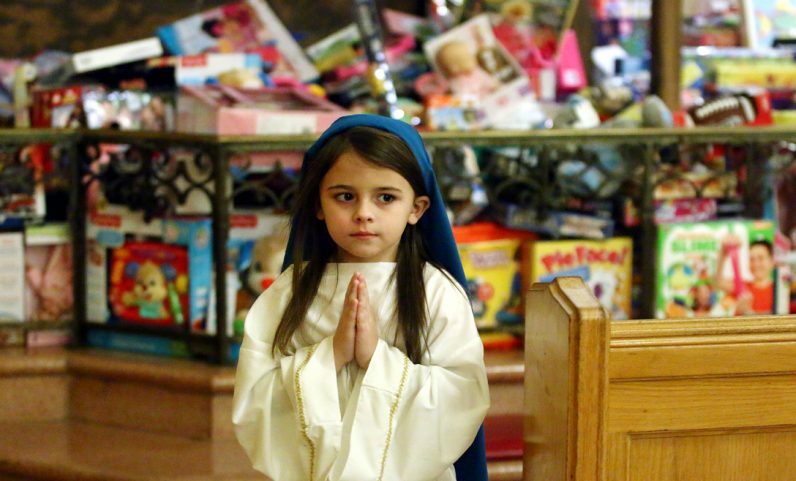 Sue Jenkins (right) participates in the “toy Mass” at St. Matthew Church, Philadelphia. Vice principal Sister Irene Loretta, I.H.M. 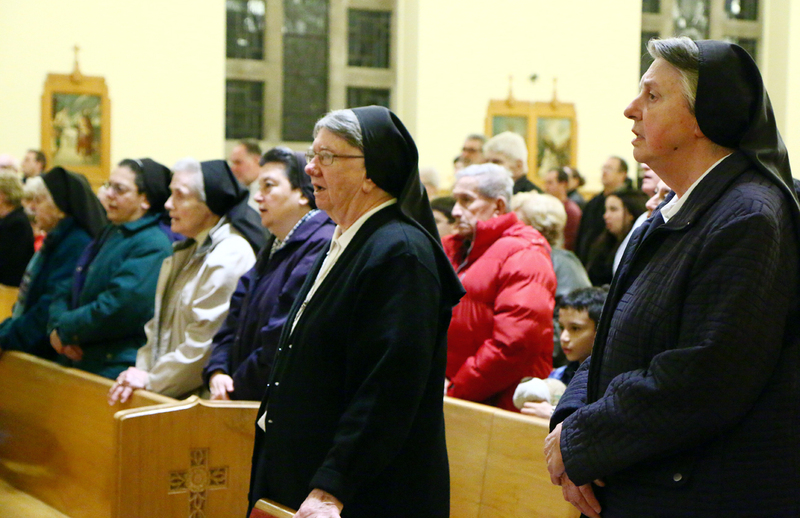 (left) and principal Sister John Magdalen, I.H.M., participate in the Mass along with the other sisters of the parish. 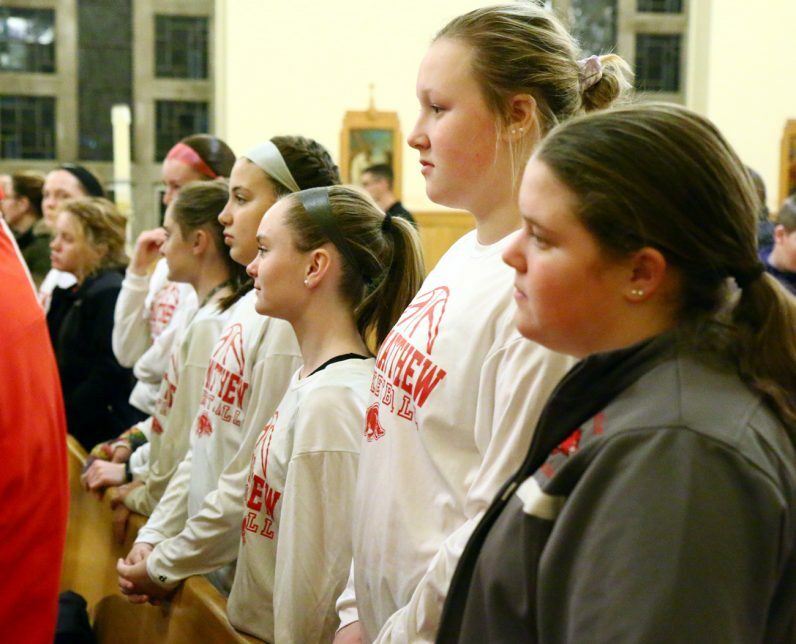 Students from St. Matthew’s basketball team attend Mass before helping to transport the presents afterward. 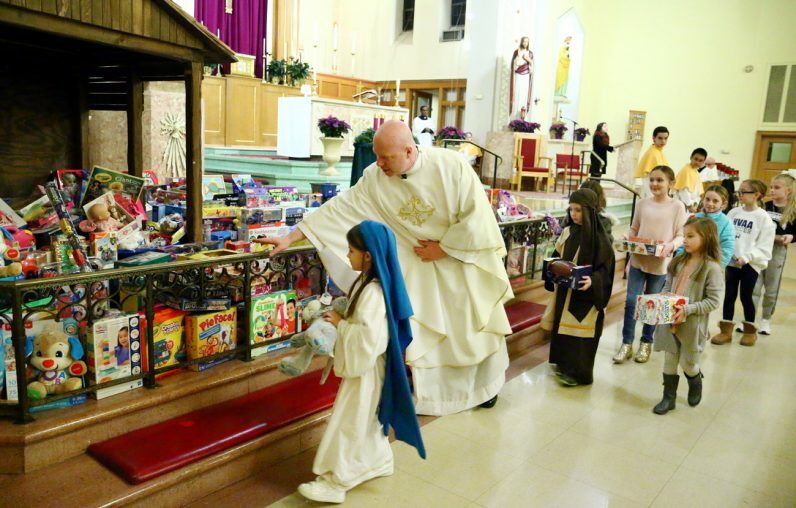 Father Patrick Welsh leads children to the altar to place gifts during Mass. 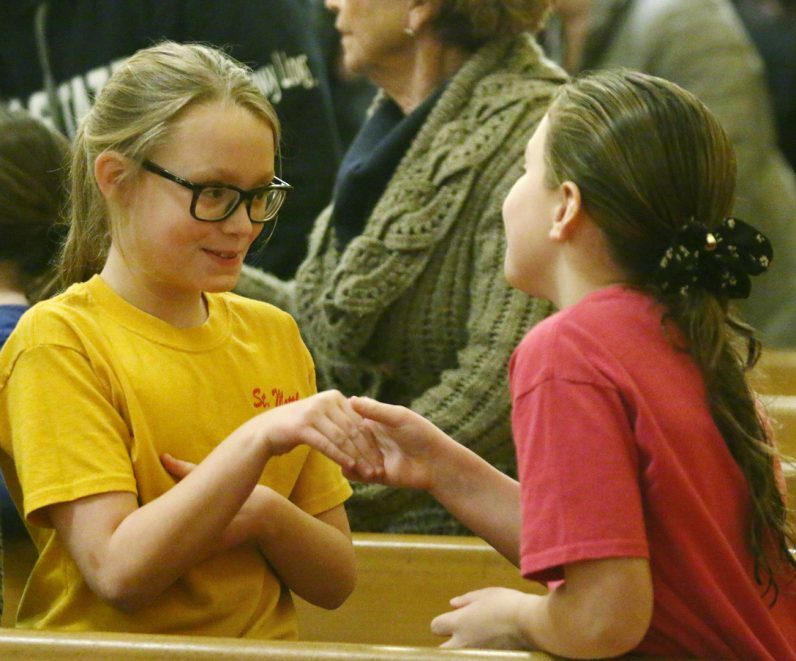 Emily Loh offers a sign of peace to her friend. 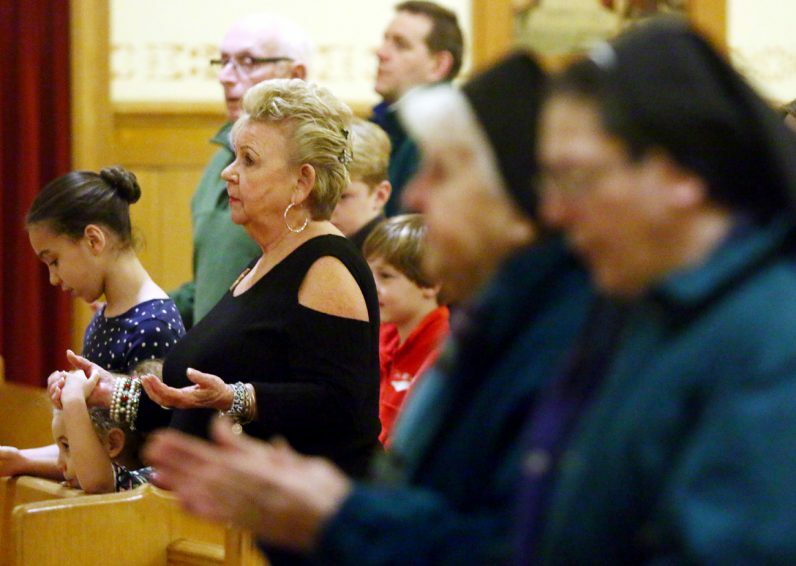 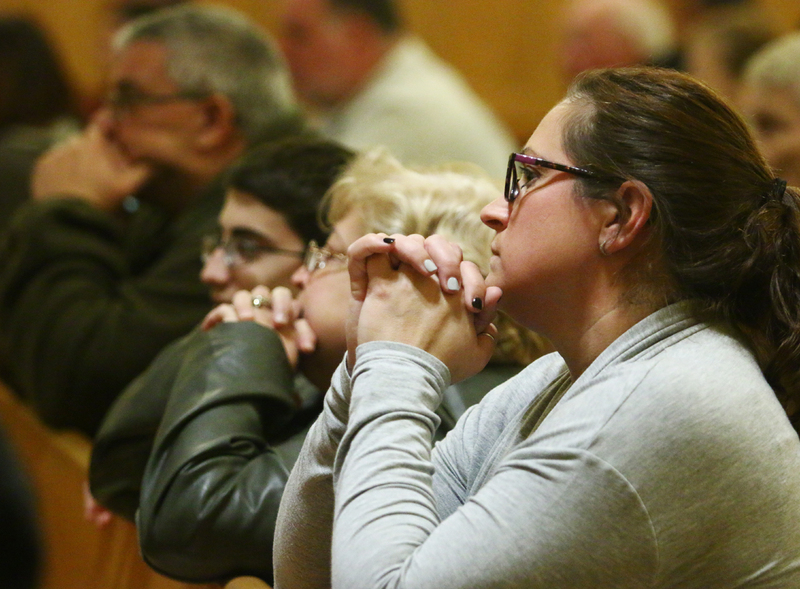 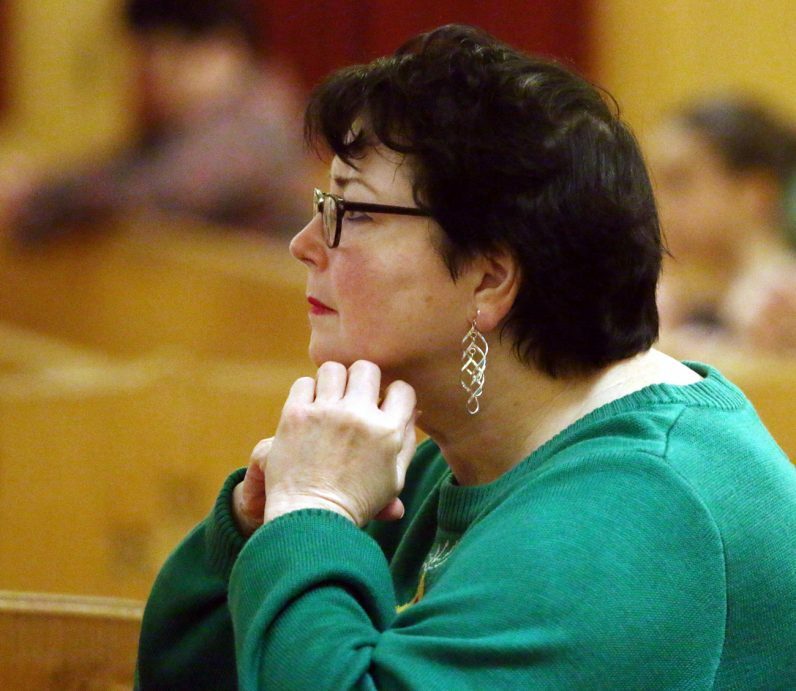 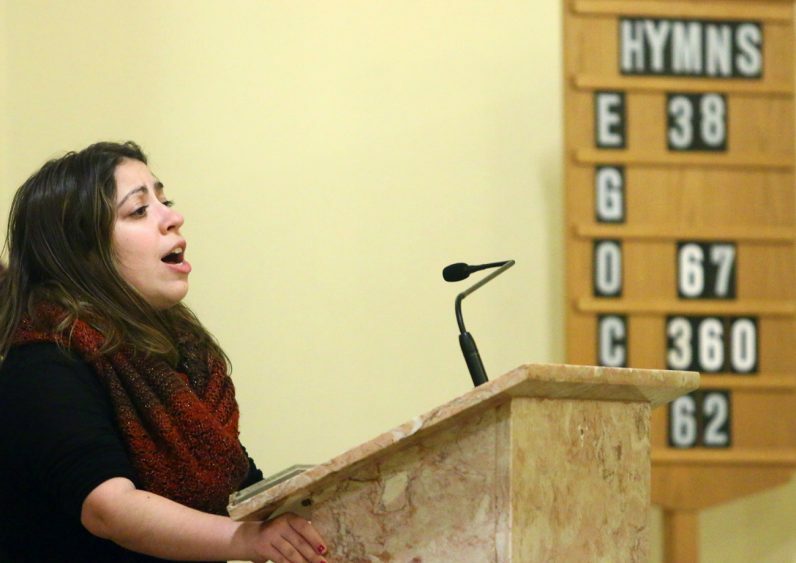 Martha Schwartz prays during Mass. 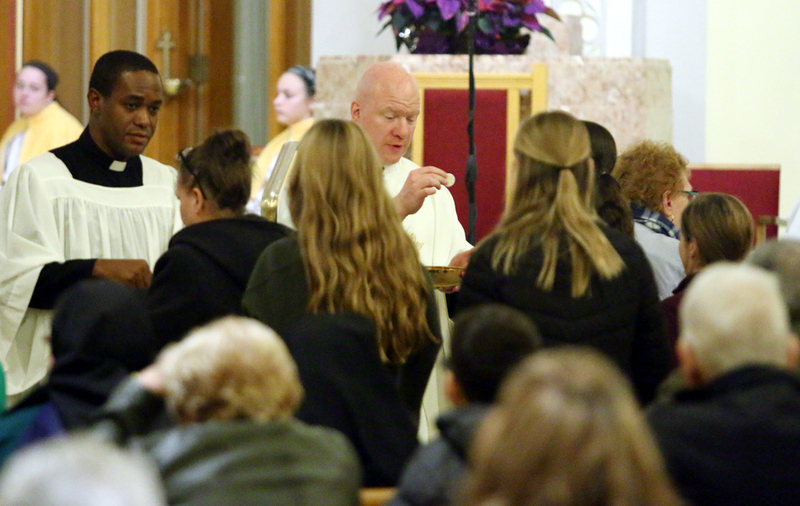 Seminarian Kevin Okafor and pastor Father Patrick Welsh distribute holy Communion. 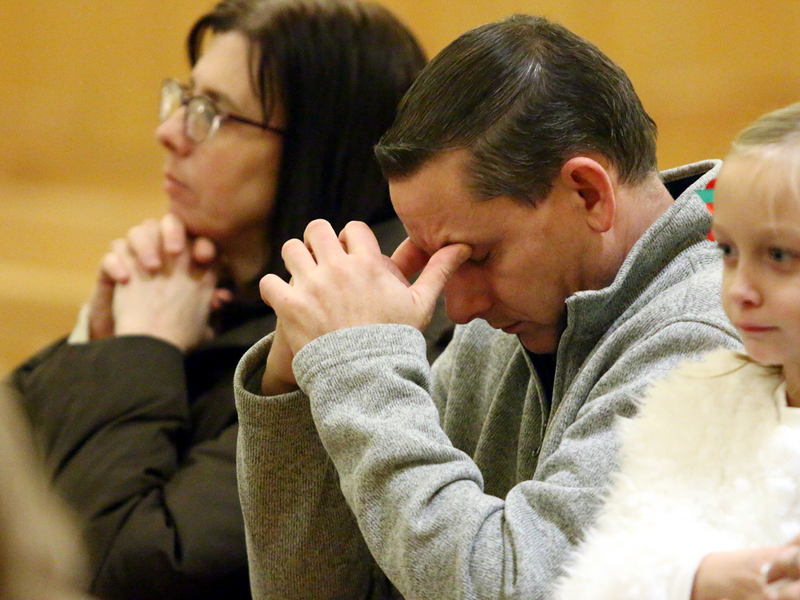 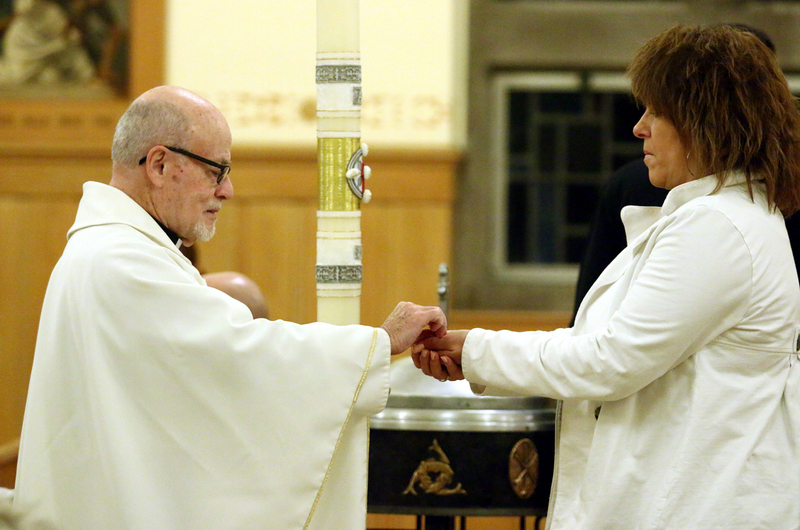 Father Steven Marinucci, parochial vicar, distributes holy Communion. 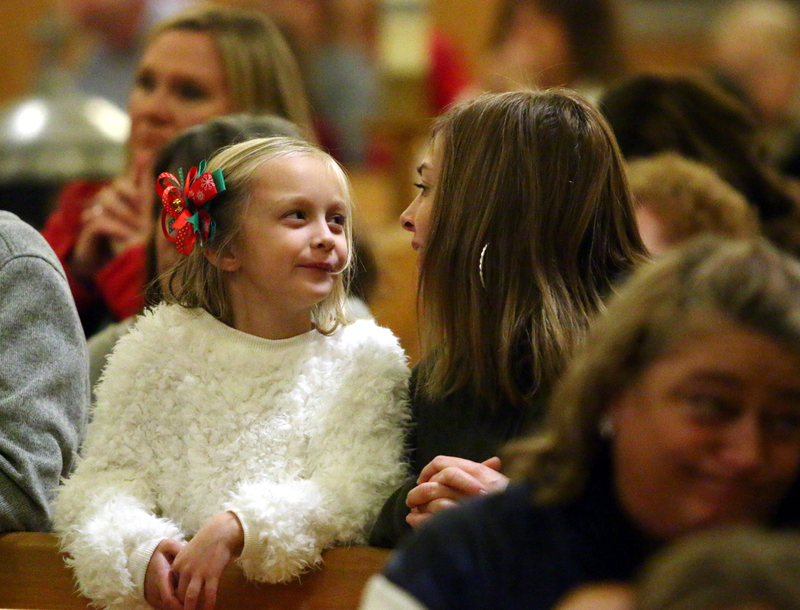 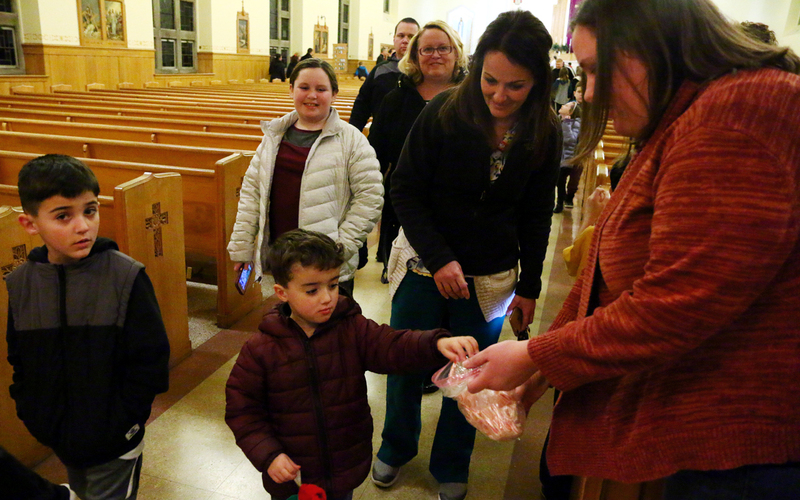 Children were treated to candy canes after Mass.